Dubai: The dreaded summer heat is here with the mercury expected to touch 40 degrees Celsius in parts of the UAE on Thursday, coupled with dusty conditions over the next three days. Interior areas like Mezaira are forecast to record 41 degrees Celsius temperatures. On Tuesday, the highest temperature recorded was 40 degrees Celsius in some areas. 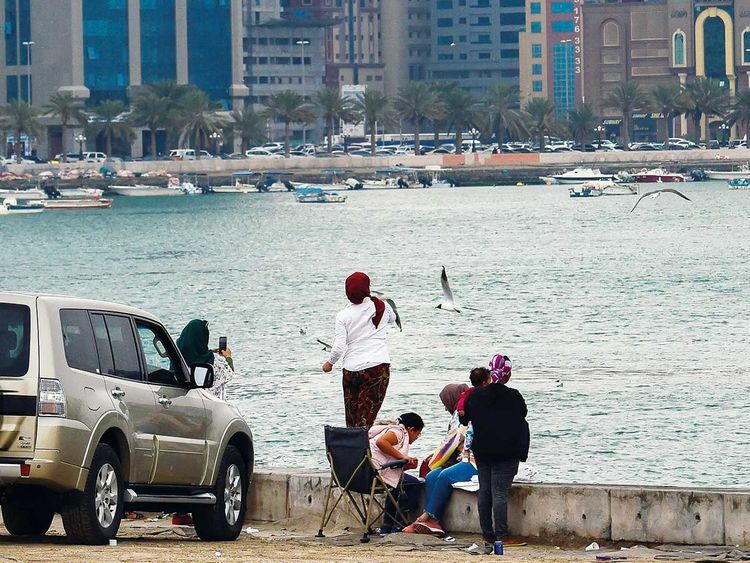 Forecasters expect Abu Dhabi and Sharjah’s maximum temperature to drop to 38C and 39C on Friday. The UAE will also have partly cloudy to cloudy skies over three days from Thursday. A probability of rainfall is expected over the sea and western areas on Thursday and over the sea and islands on Saturday. Light rain was recorded over some areas in Abu Dhabi including Al Shamka — Al Reef, Shakbout — Al Shwamekh, and at various airports including Sharjah, Dubai, Al Bateen, Abu Dhabi yesterday. Some areas in Dubai like Al Mamzar and Al Warqa, Al Hudaibah in Ras Al Khaimah, Muwailih in Sharjah and Umm Al Quwain also received light showers. Visibility dropped to 2,000 metres along the coast, extending to the western interior parts, due to convective cloud formation. These clouds of dust produced by moderate winds, with gusts reaching 40km/h, will continue to affect the country until Saturday. Residents with respiratory conditions have been advised to take precautions. Doctors for sometime now have been warning residents to take care as dusty weather in Dubai can trigger asthmatic attacks and allergic rhinitis in people who already suffer from the condition and also result in new cases of breathlessness and respiratory distress. Common symptoms of allergic rhinitis include runny nose, sneezing and nasal discharge. The Arabian Gulf waters will be moderate to rough at times with cloud activity, while Oman Sea will be moderate on Thursday and Friday.